In India monsoon is just over and now it is the beginning of the festive season. From late September till the beginning of November the country will observe numerous gorgeous festival of every religion. There will be Eid-ul-Adha for the Islam followers, Durga puja or Navratri, Diwali, Bhai duj for the Hindu devotees. During these festivals, the whole country will come together to celebrate these auspicious occasions. 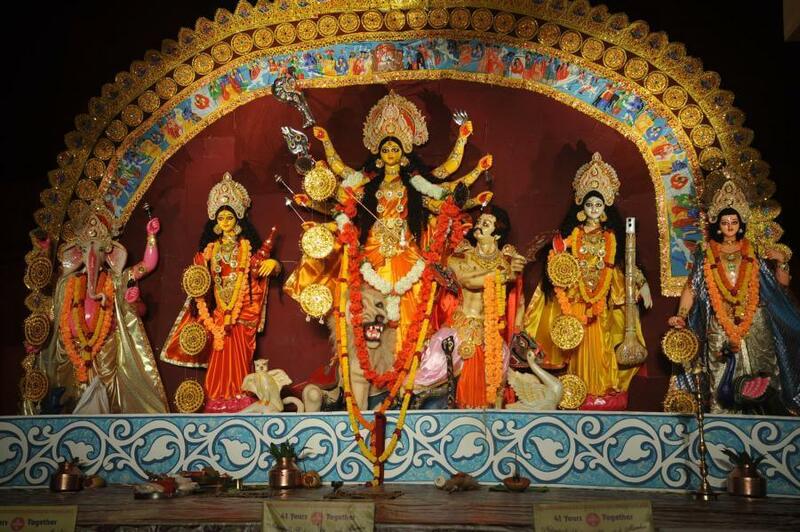 Here I’ll tell you about the best three places to visit during Durga Puja. Durga Puja is the most important and prime festival of Bengalis. 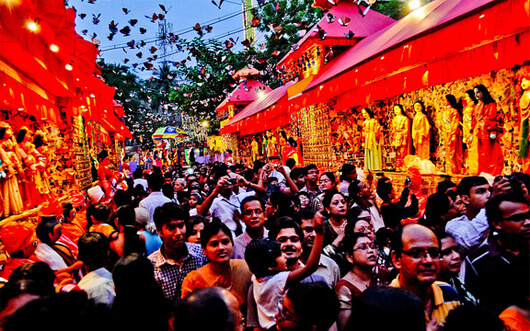 The whole city of Kolkata waits throughout the year for this 4-day long festival. 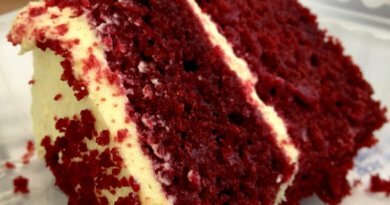 The whole city will turn into a big celebration hall during these 4 days. There will be crowds on every corner of the streets, big pandals dotted all over the city, magnificent lightings depicting everyday life or current affairs, the pandals are now based on numerous themes starting from old age to modern times. 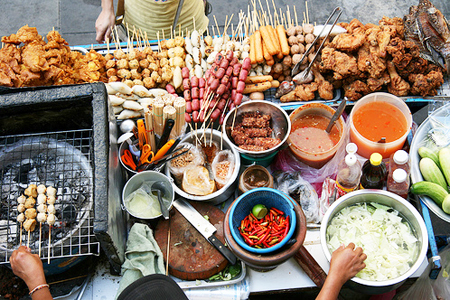 There will be food stalls big and small in every parts of the city offering foods from every known and unknown parts of the world. Overall, you can feel the ultimate grandeur and livelihood of the City of Joy in this period. Ahmedabad is the best place to enjoy Navratri. The atmosphere here during Navratri is full of festivities. 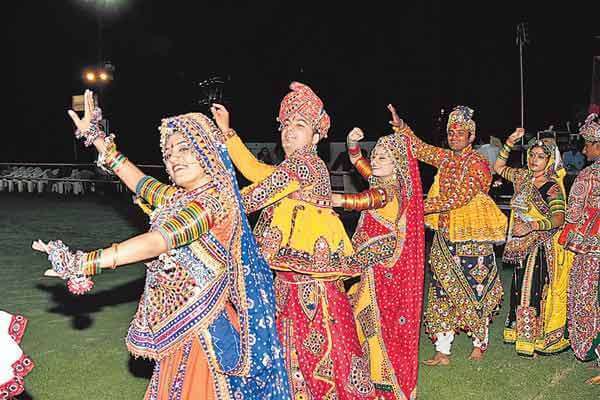 Throughout Gujarat, Navratri is celebrated with happiness and religious excitement. It is celebrated with greatest devotion in numerous temples devoted to the Mother Durga. The images of Goddess Durga are also worshiped in quite a lot of homes. 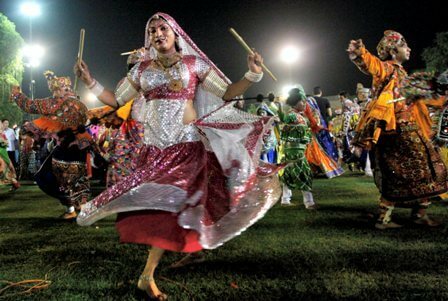 Gujarat is the only state that hosts a nine night long dance festival ‘Rasa-Garbas’,’ Dandia ras’, the longest dance festival in the world. Durga puja is arranged by the Bengali Goldsmiths in Mumbai every year and makes it a grand affair. 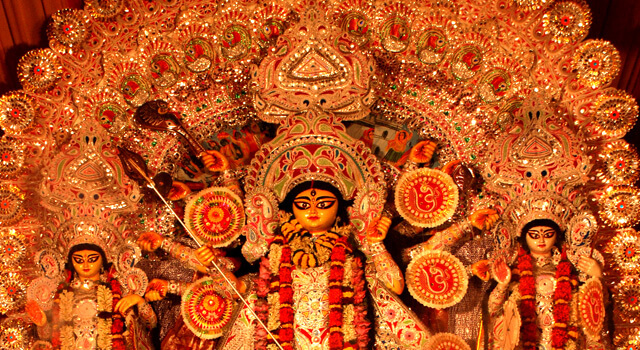 Today there are over 100 Sarbojonin Durga Puja held across Mumbai and its extensive suburbs. Santa Cruz Vashi, Andheri, RK Mission at Khar are some of the noticeable places in the city that showed magnificent Durga Puja every year.